The Amago no yuzu is a specialty of Shibata-machi, and is the northern limit point where wild yuzu grows naturally. Currently 4 farmers in the Amago-Irimada district, in the middle of the Atago mountain grow these yuzu. 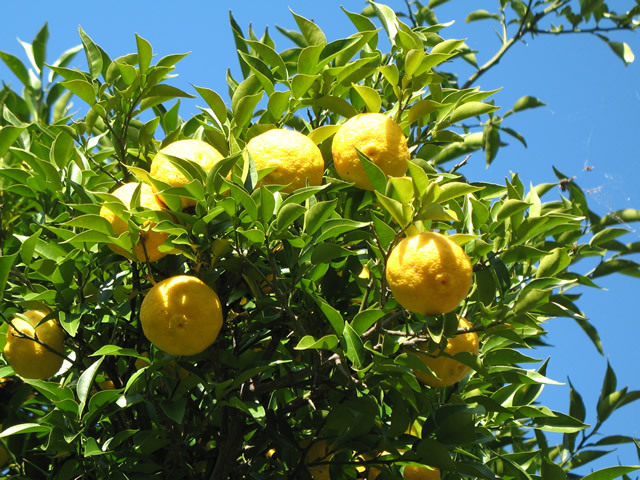 There is an old tree that is estimated to be several hundred of years of age, and the yellow fruit that is plucked from this tree that is 7 to 10 meters high has a thick rind, and a great fragrance, receiving high praise from food and beverage stores. 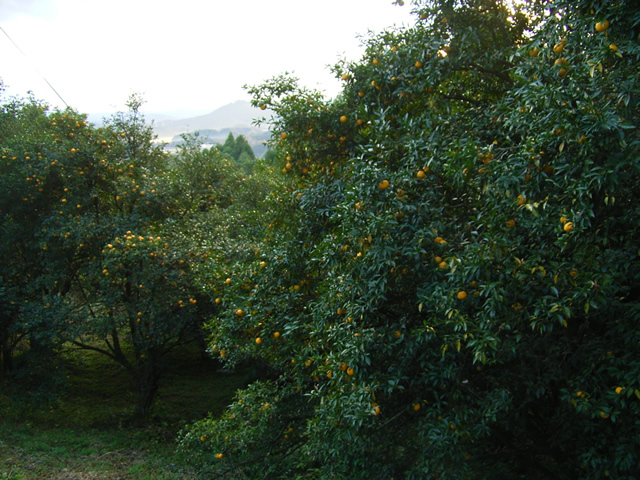 The tree puts on green fruit from the end of August, and the yellow yuzu are harvested from the middle of November to end of December. While the cause is still unknown, the number of buds from after the Great East japan Earthquake has drastically decreased, and the crop yield for 2012 was 1/10th of what it was prior to the earthquake. 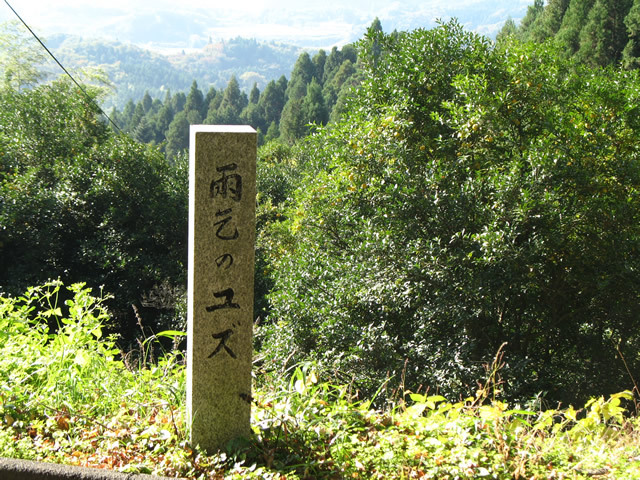 Once upon a time 600 years ago, an ascetic was making a pilgrimage on foot in the country, and arrived at Amago district, and was given water from a house nearby. The water was delicious, and the people of the village was so kind that he was thrilled with the people and the ascetic decided to live in this land. But one day the ascetic came down with a cold and was bedridden, and was nursed back to health by the people of the village. 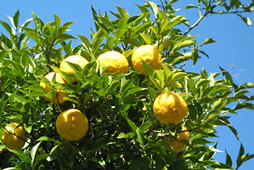 He then gave them the yuzu seeds that he had been given while on pilgrimage in the land to the south as his gratitude. This is said to be the origin of the Amago no yuzu.